What are the seven signs you’re a lazy gamer? Why, I’ve conveniently listed them here for you to check. You know, if you can’t get up to do your own research. If you meet three or more items on this list, you are probably lazy. But you can improve. Here’s the list. 1. You’ve left all of your game discs on the floor, the table, or in mismatched cases. Even worse, they’ve been out for so long a thick blanket of dust has covered them. Are you going to organize them? Let’s get serious; you probably won’t. 2. The birds sing sweet songs. The sun is rising. And you’re still stuck on your couch. You clutch a controller with your claws and stare at a screen with bloodshot eyes. Is there a Visine for gamers too? 3. 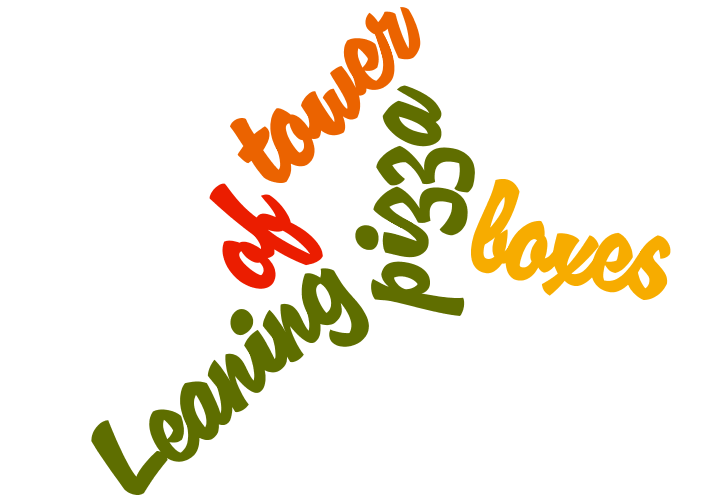 Your leaning tower of pizza boxes and Chinese food is about to crash to the ground. Don’t forget to clean up before the mice come. 4. You’re still playing twenty year old games because you won’t bother to buy new ones online or at the store. Is it nostalgia? Nah, new games mean you have to move, and you won’t do that. 5. There’s more dust on your consoles than the snow outside your house during a blizzard. Some of those consoles, like your Wii, have the most dust because you never use them. You’re not alone on this one. 6. You’ve played for so long you haven’t even noticed the seasons changed outside. People slip and slide all over your icy sidewalk, and you don’t care. Watch out for lawsuits. 7. You sat on the couch for so long that you started to grow roots. The good news is that you’ve identified your problem. There’s still hope for you. Your gravatar reminded me that Dr. Mario could give this test.